Visual Studio Code>Snippets>▲ZEIT nowNew to Visual Studio Code? Get it now. 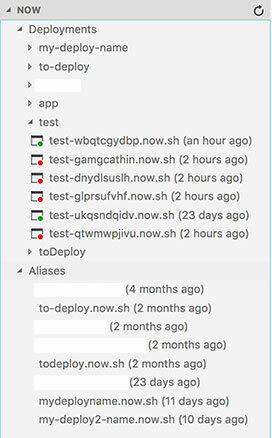 Create and manage your deployments and aliases. The Now extension makes it easy to create and manage ▲ZEIT now deployments from Visual Studio Code. A ▲ZEIT now account and a token are optional. 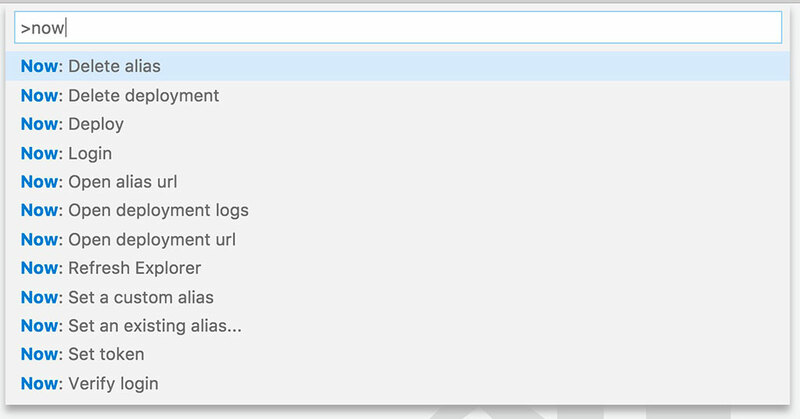 You can create an account within VS Code with the Login command.